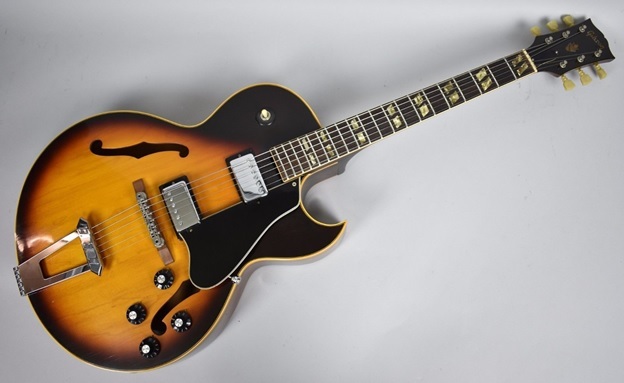 Home / Tips / Is Vintage Gibson Guitar Worth Buying? An antique object is the one which is at least a hundred years old. There is no particular definition to explain what exactly vintage is, but typically those guitars which are around 30 years old fall in the vintage category. In reverb, things that are created prior to 1980 are known as vintage. If you are a guitar fanatic then purchasing a vintage guitar is something priceless. There are a few things which you must keep in mind before purchasing a vintage guitar because, with time, the guitar parts may need replacement also. Finding vintage Gibson guitar parts is a challenging and costly affair if you are not sure where to purchase these parts from. Guitars that are manufactured before the mid-1920s are considered to be purchased by the players and collectors as these are primitive in design. There is an exception as well like Martin and Washburn parlor guitars which were used in the civil era. Guitars that are manufactured after 1970 are not highly collectible because they had a substandard manufacturing. It is so because the quality of the material used to make the guitars in the 70s was not that great. People purchase vintage stringed instruments or acoustic guitars for two important reasons. One is you are a collector and second is that you are a player. •	Who is the seller? While you browse online you will see many listings for guitars from well known established brick and mortar shops, individuals who have a vintage guitar and a lot more. Most of the buyers would like to purchase the guitar from a well-known store only because it makes sense to them as they will have repair technicians and proper return policies. They will also have a professional reputation in sales and therefore, one can feel convenient and satisfied with the guitars they sell. Sometimes, the price of the guitar may be a little high but this is not every time. If you find an individual seller then it is vital to ask them questions ahead of time and keep an ongoing communication with them. If you go through Reverb then the staff at Reverb will help in the deal from the beginning to end and as they offer protection as well, you can buy without any problems. It is good to buy vintage Gibson guitars as you can find the parts for Gibson guitars in case they need replacement after some time. •	What types of payments do they accept? The information is listed o the listing page and most of the sellers accept PayPal payment or Reverb’s internal direct checkout system. Most of the preferred sellers offer to finance through Affirm. •	Check the condition of a guitar? Most of the professional sellers will mention the conditional issues in the listing, but in most of the cases, you will find it comfortable asking questions to the seller about the guitar. You should ask about the guitar condition which will vary greatly depending on the use of the guitar. Your needs and priorities should be clearly stated so you can choose the best guitar. The player of the vintage guitar is completely a different animal and he is not bothered whether everything is original or not, because most of the guitar parts can be replaced. For example, the player or collectors can always replace Gibson tailpiece studs or Gibson guitar tailpiece or any other part as per their convenience. The player may not be bothered about the finish as well. It may be worn off as well. Players buy vintage Gibson guitar because the sound is awesome because the wood ages with time and over many years of playing, the vibrations produce soothing sound. At times, there is a haunting aftertaste of each note which cannot be described. There are some great details which will make your purchase worthwhile. So, check the best one and enjoy playing.